According to the new Bolivian constitution, education is “one of the most important functions and primary financial responsibilities of the State”; it is “unitary, public, universal, democratic, participatory, communitarian, decolonizing and of quality” (art. 78, I); and, throughout the entire educational system, it is “intra-cultural, inter-cultural and multi-lingual” (art. 78, II), where its “inter-cultural character is the means for cohesion and for harmonic and balanced existence among all the peoples and nations” (art. 98). The Brazilian constitution asserts the “pluralism of pedagogic ideas and conceptions” in the field of education (art. 206, III), and the protection of cultural rights, access to sources of national culture, and the protection of “expression by groups participating in the national civilisation process” in the cultural domain (art. 215, header and §1). But to what extent can we really say that other cultural wisdoms — those of indigenous peoples, of Afro-Amerindians, etc. — are no longer silenced, suppressed, hidden, or treated as non-existent? Is it true to say that the proclaimed pluralism of ideas actually has a corresponding cognitive justice? It would be interesting to undertake such an exercise to analyse how human rights are categorised and taught in normal curricula. According to the hegemonic line of thought, the system is generational: first, civil and political rights; second, social, economic and cultural rights; then a third generation of human rights; and perhaps even a fourth (democracy) or a fifth. But is this trajectory universal — can it be universalised — or does it simply hide the trajectories of human rights struggles behind the project of modernisation itself? Think back to just two paradigmatic moments: (1) the French Revolution, seen as a moment in which we consolidated liberty, equality and fraternity, did not recognise women’s rights and nor did it question the enslavement of black people; (2) the Universal Declaration of Human Rights was being debated while large parts of Africa and Asia were colonies of the European countries who adopted it. They fought against the barbarity of the Holocaust, but the massacre of colonised peoples was swept under the carpet. We can put forward, therefore, several other topics and talking points to help us question, decolonize, pluralize and underline the necessity of interculturalism. The epistemological privilege awarded to the Enlightenment has concentrated attention on the second modernity (England, France and the Netherlands) at the expense of the Renaissance period and the first modernity (Italy, Portugal and Spain) in its entirety. This is why discussion has focused on the “rights of man”, forgetting the controversial matter of “who counts as human”: the argument between Sepúlveda and Bartolomé de las Casas (who became Bishop of Chiapas, Mexico, in 1544) concerning the rights of indigenous peoples is a good example. However, Latin America’s own contributions have been ignored, as demonstrated by the writings of Guaman Poma de Ayala (1535–1616). The Inca descendant wrote a treatise on good government, in which he criticises the monarchy; he puts forward a new system of government (based on a mixture of his knowledge of Spanish and Inca society), anticipating a “division of power”, and produces a rich iconography that asks profound questions of the colonial order. It is therefore also a matter of recognising the existence of an “imperial difference” (see Mignolo), which was made evident recently with France and Germany’s use of the expression PIGS to refer to the economic crises of Portugal, Italy, Greece and Spain — that is, Southern Europe. Although at that time in history indigenous people were considered carriers of the soul (a “privilege” that black slaves did not have recognised by the Catholic Church, nor by bourgeois revolutionary movements), the fact is that the human rights narrative emphasised only bourgeois revolutions (especially the French Revolution and the American Revolution). Concomitant with the so-called “Revolutionary Era” (1789–1848), two “silenced” insurrections took place in the lands we now call Latin America. First was the revolution in Haiti (1804), which was to become the first black nation — of illiterate slaves — to become independent, abolish slavery and establish, amongst other achievements, equal rights for children born out of wedlock, and the possibility of divorce. Second was Túpac Katari and Bartolina Sisa’s movement (1780–1781) in Bolivia, against Spanish rule, which would lead to a profound reorganisation of the community and the creation of new forms of political and commercial negotiation. It was a battle ideology that suggests, drawing on the Aymara word pachakuti (radical change), that the present can incubate another time, which is both a future and a re-imagining of the past. 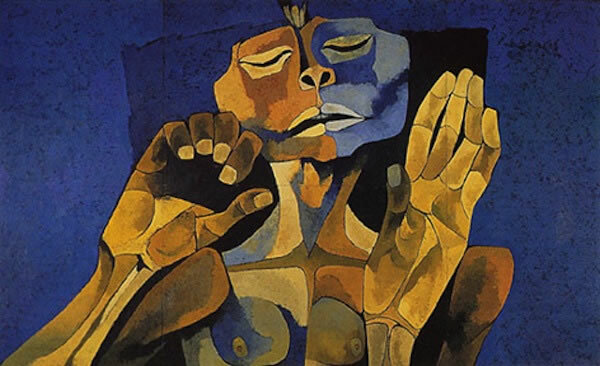 A “tradition of the defeated” would see all its emancipatory energies reinvigorated with the 1952 revolution, the gas and water wars (2003), the debate on the rights of nature, indigenous leadership, and discussion of the “Indian Revolution” led by the Aymara intellectual Fausto Reinaga (1906–1994). In Katari’s words as he died, “Today I die, but thousand upon thousands of us will come back”. These struggles for independence are not celebrated with countless bicentenaries and their principal actors are not “criollos”. They are the movements of oppressed black and indigenous peoples against the bedrock of the colonial system and their victory over it. In the seventeenth century, various narratives by freed slaves — dealing with slavery, a “life without meaning”, the need to recognise the dignity of all regardless of race and geographical origin — were available for study. Why have they been forgotten, as though slavery were a mere pothole on the road to modernity and not the wicked face of the “colonialism of power”? How can books talk about France’s history without considering its interaction with its colonies, when the colonies’ stories are always remembered in the context of dependence on the metropole? It is unimaginable that a system that lasted more than 400 years in Brazil (the country has been independent for less than 200 years) should be considered an event of little importance rather than a “crime against humanity” (Durban Declaration), and, moreover, be deemed a constitutive part of the modern system. Colonialism is the other face of modernity, but this is hidden from recognition. Ottobah Cugoano (1757–1791), who was born in Ghana and educated in England, not only proposed methods for ending slavery, but also for compensating African nations for the damage caused and for legalising work. For Cugoano, human beings are equal and free “not in relationship to government but in relationship to other human beings”. Olaudah Equiano’s (1745–1797) account was similar. And then there’s Sojourner Truth’s (1797–1883), which criticised not only racial inequality, but also discrimination against women, at a time when US culture placed white women on a pedestal but ignored black women. This was not just an abolitionist discourse, but also a defence of women’s rights. Having recently reached the fiftieth anniversary of the UN Declaration on the Granting of Independence to Colonial Countries and Peoples (1960), the importance of the struggles of Asian and African peoples in the process of establishing human rights in the wake of the Second World War deserves re-evaluation. It is worth considering not just the leaders of the process (Nyerere, Samora Machel and others), but also contributions by Fanon, Glissant and Césaire, from the point of view of black rights, and all the contributions that have been made in Asian countries (of which the “subaltern studies” of India are just one small part) and — let’s not forget — those that don’t fit a markedly secular mould, such as “Islamic feminism” or even the “indigenous feminism” movement. We also shouldn’t forget that secularism in the colonies served the colonial purposes of keeping women subservient. This post-colonialism, however, is of a different hue from the result of the first decolonizing process (the independence of the Americas) and their differences should be recognised. 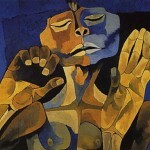 The use of literature, cinema and the visual arts in discussions of human rights has become common. This is beneficial since aesthetic-expressive rationality was colonised for a long time by scientific and legal reason. It is important, nonetheless, that it is not just the medium that is altered: what we need is to change the language of the debate itself. This should not just be with regard to the content, but also the enunciation. Antigone, for example, has been used in the teaching of law to establish the opposition between natural law and positivism, a European debate that was laid out by Hegel, in the eighteenth century, on the basis of Greek tragedy. What about using the three Theban plays, as Judith Butler did, to discuss “aberrant parentage” (after all, Antigone is the daughter of Oedipus and Jocasta, her grandmother), heteronormativity, sexism and patriarchy? How would these questions transform if, instead of the “Oedipus complex”, the debate was reconfigured from the point of view of an “Antigone complex” (George Steiner)? At the National University of Singapore, Syed Farid Alatas and his colleague Vineeta Sinha have spent many years developing a different study of sociology. Instead of just analysing the “classics” — Durkheim, Weber and Marx (white European men) — their students are encouraged to work with contributions by Ibn Khaldun (Tunisia), José Rizal (Philippines), Benoy Kumar Sarkar (India) and Harriet Martineau (England), amongst others. In their opinion, this is the way to show that “there were also white women and non-European men and women in the nineteenth century who theorised the nature of emerging modern societies”. How about starting a similar movement in the study of human rights? Perhaps this way we could defeat the “epistemic racism” and “change the geography of reason” (Lewis Gordon). Or, as Walter Benjamin would say, we might “wrest tradition away from a conformism that is about to overpower it” and write a “history against the grain”. César Augusto Baldi, PhD can­did­ate at Pablo Olavide Uni­ver­sity (Spain), is Advisor to the Brazilian Regional Fed­eral Court 4th Region and the editor of Direitos humanos na sociedade cos­mopol­ita [Human Rights in Cos­mo­pol­itan Soci­ety] (Ren­o­var, 2004). Descolonizando o ensino de Direitos Humanos? Segundo a nova Constituição boliviana, a educação, “função suprema e primeira responsabilidade financeira do Estado”, é unitária, pública, universal, democrática, participativa, comunitária, descolonizadora e de qualidade (art. 78, I), e, em todo o sistema educativo, “intracultural, intercultural e plurilíngue”(art. 78, II), no sentido de que “a interculturalidade é o instrumento para a coesão e convivência harmônica e equilibrada entre todos os povos e nações”(art. 98). A Constituição brasileira assume o “pluralismo de ideias e de concepções pedagógicas”, no campo educativo (art. 206, III), e a proteção de direitos culturais, acesso a fontes da cultura nacional e proteção das “manifestações dos grupos participantes do processo civilizatório nacional”, no campo da cultura (art. 215, caput e §1º). Mas até que ponto, efetivamente, outros saberes- afro-ameríndios, de populações tradicionais, etc- não continuam a ser silenciados, oprimidos, ocultados e tidos como inexistentes? É possível afirmar que ao apregoado pluralismo de ideias corresponde uma justiça cognitiva? Talvez fosse interessante fazer um exercício similar, analisando como os direitos humanos são tematizados e ensinados nos cursos regulares. Naquela versão que se tornou hegemônica, a preocupação é geracional: direitos civis e políticos; sociais, econômicos e culturais; terceira geração; e quiçá uma quarta (democracia) ou quinta. Mas esta trajetória é universal, universalizável ou simplesmente oculta trajetórias de lutas por direitos humanos contra o próprio projeto de modernização? Recordem-se, apenas, dois momentos paradigmáticos: a) a Revolução Francesa, tida como um momento da consolidação da liberdade, igualdade e fraternidade, não reconheceu direito às mulheres tampouco questionou a escravidão da população negra; b) a Declaração Universal dos Direitos Humanos foi discutida quando boa parte da África e da Ásia era colônia de países europeus que a assinaram: a barbárie do genocídio judeu era combatida, mas o massacre das populações colonizadas era invisibilizado. Proponham-se, pois, alguns outros temas e revoltas para questionar, descolonizar, pluralizar e ressaltar a necessidade da interculturalidade. 1. Distintas modernidades europeias. O privilégio epistemológico outorgado ao Iluminismo concentrou as atenções na segunda modernidade (Inglaterra, França e Holanda), em detrimento do período do Renascimento e de toda a primeira modernidade (Itália, Portugal e Espanha). Daí porque a discussão sobre os “direitos do homem” seja salientada, mas a polêmica sobre “quem conta como humano” seja esquecida: a disputa entre Sepúlveda e Bartolomé de las Casas (que foi bispo de Chiapas em 1544) sobre os direitos dos índios é um bom exemplo. Mas a própria produção latino-americana foi ignorada, como mostra o resgate de Guaman Poma de Ayala (1535-1616). Este descendente inca escreveu um tratado sobre o bom governo, em que critica a monarquia; desenvolve novo sistema de governo (mescla de seus conhecimentos sobre a sociedade espanhola e a inca), antecipando a “divisão de poderes” e produz uma rica iconografia profundamente questionadora da ordem colonial. Do que se trata, portanto, é também do reconhecimento da existência de uma “diferença imperial”(Mignolo), que ficou evidente, recentemente, com a utilização por França e Alemanha da expressão PIGS (“porcos”, literalmente), para referir-se às crises econômicas de Portugal, Itália, Grécia e Espanha (“Spain”), ou seja, o Sul do Norte. 2. Revoluções burguesas e insurreições anti sistêmicas. Se naquele momento, os indígenas foram considerados como portadores de alma (“privilégio” que os negros escravizados não tiveram reconhecidos nem pela Igreja Católica, nem pelos movimentos revolucionários burgueses), o fato é que a narrativa dos direitos humanos salientou somente as revoluções burguesas (em especial a francesa e a estadunidense). Concomitante à denominada “era das revoluções” (1789-1848), eclodiam, na hoje denominada América, duas insurreições “silenciadas”. Por um lado, a Revolução Haitiana (1804), que se torna a primeira nação negra, de escravos iletrados, a se tornar independente e abolir a escravidão e estabelecer, dentre outros, direitos iguais para filhos nascidos fora do matrimônio, a possibilidade de divórcio. Por outro lado, o movimento de Tupac Katari (1780-1781) e Bartolina Sisa, na Bolívia, contra o domínio espanhol, que vai determinar uma profunda reorganização comunitária e a criação de novas formas de intermediação política e mercantil. Um ideário de luta que, se valendo da palavra aimara “pachakuti” (um “vuelco”) indica que o presente pode incubar um outro tempo, que é, ao mesmo tempo, um futuro e uma reedição do passado. Uma “tradição dos vencidos” que terá suas energias emancipatórias revigoradas com a Revolução de 1952, as guerras do gás e da água (2003), a discussão sobre direitos da natureza, o protagonismo indígena e a discussão da “Revolución india”, realizada pelo intelectual aimara Fausto Reinaga (1906-1994). Afinal, Katari teria dito, ao morrer, que “yo muero ahora, pero volveremos miles y miles.” Não são, portanto, as lutas de independência protagonizadas por “criollos” e celebradas pelos inúmeros “bicentenários”, mas movimentos de oprimidos negros e indígenas contra os fundamentos do sistema colonial e sua superação. 3. Diáspora africana e a escravidão. No século XVII, diversas narrativas de negros libertos questionando a escravidão, a “vida de nenhum significado”, a necessidade do reconhecimento da dignidade de todos independentemente de raça e origem geográfica estiveram disponíveis para estudo. Por que elas são esquecidas, como se a escravidão fosse um mero acidente de percurso na modernidade e não a face perversa da “colonialidade do poder”? Por que os livros tratam da história da França sem considerar a inter-relação com as colônias, mas a história destas é lembrada como dependente da metrópole? Como imaginar que um sistema que, no Brasil, durou mais de 400 anos (e o país não é independente nem há 200), é um acontecimento de pouca importância e não um “crime contra a humanidade” (Declaração de Durban) e- mais que isto- constitutivo do sistema moderno? A colonialidade é a outra face da modernidade, e isto não se quer reconhecer. Ottobah Cugoano (1757-1791), nascido em Gana e educado na Inglaterra, vai não somente apresentar propostas para terminar com a escravidão, mas também para compensar as nações africanas pelos danos ocorridos e para legalizar o trabalho. Para ele, os seres humanos são iguais e livres “perante outros seres humanos e não perante o Estado”. No mesmo sentido, o relato de Olaudah Equiano (1745-1797). E que dizer de Sojourner Truth (1797-1883), que vai criticar não somente a desigualdade racial, mas também aquela com relação às mulheres, no momento em que a cultura dos EUA colocava as mulheres brancas em pedestal, mas ignorava as mulheres negras? Um discurso não somente abolicionista, mas também de defesa dos direitos das mulheres. 4. Segundo processo de descolonização. No momento em que se passaram cinquenta anos da Declaração de descolonização da ONU (1960), a importância das lutas de asiáticos e africanos no processo de instauração de direitos humanos após a Segunda Guerra Mundial merece ser reavaliada. Não somente os líderes do processo (Nyerere, Samora Machel e outros). Também as contribuições de Fanon, Glissant e Césaire, dentro de uma perspectiva negra, e todas as contribuições que tem sido feitas no âmbito asiático (de que os “estudos subalternos” da Índia são apenas uma parcela) e – porque não salientar- aquelas que não têm matriz marcadamente secular, como o “feminismo islâmico” ou mesmo o movimento de “feminismo indígena”. Não é demais lembrar que o secularismo, nas colônias, serviu aos propósitos coloniais de submissão da mulher. Este pós-colonialismo, contudo, é de matiz distinto daquele resultado do primeiro processo descolonial (independências das Américas) e devem ser observadas suas diferenças. 5. Utilização de outras técnicas e linguagens. Tem sido comum a utilização de literatura, cinema e artes visuais para a discussão dos direitos humanos, o que é salutar, na medida em que a racionalidade estético expressiva, durante muito tempo, ficou colonizada pela racionalidade jurídica e científica. É necessário, contudo, que não somente o meio utilizado seja alterado: do que se trata é de mudar os termos do próprio debate. Não diz respeito somente aos conteúdos, mas à própria enunciação. Antígona, por exemplo, vem sendo usada, nos cursos jurídicos, para estabelecer uma oposição entre jusnaturalismo e positivismo, uma discussão europeia que fora salientada por Hegel, no século XVIII, a partir de uma tragédia grega. Que tal utilizar a “trilogia tebana”, como fez Judith Butler, para discutir o “parentesco aberrante” (afinal, Antígona é filha de Édipo e de Jocasta, sua avó), a heteronormatividade, o sexismo e o patriarcado? O que seria destas questões se, ao invés de um “complexo de Édipo”, o debate fosse reconfigurado a partir de um “complexo de Antígona” (George Steiner)? Syed Farid Alatas e sua colega Vineeta Sinha vêm desenvolvendo, na National University of Singapore, há muitos anos, um estudo diferente de Sociologia: ao invés de somente analisar os “clássicos” Durkheim, Weber e Marx (homens brancos europeus), os alunos são instigados a trabalhar as contribuições de Ibn Khaldun (Tunísia), José Rizal (Filipinas), Benoy Kumar Sarkar (Índia) e Harriet Martineau (Inglaterra), dentre outras. Uma forma de mostrar, segundo eles, que havia “também mulheres brancas europeias, além de homens e mulheres não europeus e não brancos que, no século XIX, teorizaram sobre a natureza das sociedades modernas emergentes”. Que tal começar um movimento similar no estudo dos direitos humanos? Talvez, aqui, se consiga vencer o “racismo epistêmico” e “mudar a geografia da razão”(Lewis Gordon). Ou, como diria Walter Benjamin, “arrancar a tradição ao conformismo, que quer apoderar-se dela” e escrever uma “história a contrapelo”. I read this article and found it very interesting, thought it might be something for you. The article is called Decolonizing the Teaching of Human Rights? and is located at http://criticallegalthinking.com/2013/08/01/decolonizing-the-teaching-of-human-rights/.